Bundesanstalt für Finanzdienstleistungsaufsicht or the Federal Financial Supervisory Authority, more known as a BaFIN, is the financial regulatory authority in Germany that acts as independent federal institutions under the supervision of the Federal Ministry of Finance Germany. The authority was merged by the German Federal Bank along with the insurance and securities regulatory agencies and supervision. BaFIN holds a responsibility to supervise and regulated financial sector in Germany, with a purpose to maintain smooth operation and harmonized offering. The regulatory role falls in effects law enforcement towards banks, financial services institutions, insurance undertakings, and securities or derivatives brokers. Perhaps, BaFIN is one of the largest and most valuable European regulators due to the fact of German economic and financial positions, as well as a large number of financial market firms that operate in the region. There are no doubts about the BaFIN role in the financial trading sector, since the extensive regulation regarding leveraged products, Forex and CFD trading came up together with the growth of trading offer, and followed the previous strictest development of stringent rules towards financial firms. Moreover, BaFIN constantly develops its powers, as of since 2016 a new launch dedicated to encourage more businesses and exposes misconducts. The major role of BaFIN ensures integrity and transparency of the German financial investment offering, along with its charge of the constant solvency and payment obligations of the regulated institutions and capability to deliver confidence of services to their clients or traders. That means, BaFIN continuously check on the service providers and market participant in the sector and assures its strongest position on the international scale. Why trade with a BaFIN regulated broker? As BaFin operates in the public interest, its primary objective is to ensure that financial system is properly functioning and delivers stability and trust towards investors or traders. The supervision of securities, CFDs and Forex consistent of integration and protection of offering and controlled on a legal basis throughout the Securities Trading Act (WpHG), the Securities Acquision and Takeover Act (WpUG), the Securities Prospectus Act (WpPg) and the Prospectus Act (VerkProspG). In addition, the provisions of the Stock Exchanges pricing process monitored by the authority in collaboration with the exchanges own trading surveillance units. In simple words, that means that BaFin as a Germany authority does not only register or regulated financial market participants, but also supervise exchange-like trading systems and subject cooperation to fulfill the functions at the international level. From the application of license, until the company officially obtains its registration, the firm will pass through a serious check of the performance, its maintenance of sustainability and trust, while their shareholders are required to check also, along to a large number of control systems. In fact, it is not easy to become a regulated BaFin broker and meet the necessary requirements, as minimum requirements should be sharply achieved, otherwise the company will be suspended. The minimum capital requirement dependent on the type of the financial company and averaged between 50,000€ up to 730,000€. While the system disciplines numerous details for the company to maintain, overall the minimum capital of an investment company which trades on its own account should be not less than 125,000€. The broker also checked for its adequacy, should submit a business plan, acknowledge and practice essential experience, apply protection systems and have at least one year of risk control with a record of at least 6 years. The directors and top management are interviewed in terms of their qualifications, so BaFin can rest assured the company sustainability is protected by the smart management and experience to run successful brokerage as well. After its registration process the broker, as established and regulated in EU, the company will automatically comply according to respective ESMA regulation, due to an EU directive. The broker received a regulated status maintains a physical office in Germany and organized to comply its mandates at all times. The Federal Chamber establishes special guidelines for regulated members and particularly interpret an operational standard that enables safety and transparent measures towards traders. The list of major regulates includes segregation of the client’s funds from the company operational ones at all time and enabled negative balance protection. This assures that the trader’s funds are safe and not reachable by the company, as well as that volatility market conditions won’t affect trader’s account into a loss of balance more than the initial invested capital. As a general mean, the regulator acts and enables new rules and controls according to the new developments and findings, therefore current issues following numerous rules towards Cryptotrading and leverage restrictions, while the needs are not to be between 2:1 and 30:1. Moreover, with a purpose to protect consumer rights, which is among the top responsibilities of BaFin, the authority serves the Consumer Advisory Council that analysis information about the financial markets and prevent broker’s manipulations. The BaFin broker submitting reports on a periodic basis, submit information on company orders, lending and all forms of assets along to disclosure reports. The required regulation allows BaFIN to request operational information, conduct supervisory or analysis at any time, while in case regulated broker does not comply with necessary standards this may cost a backwash. In the past German authority has hardly made use of enforcement, however recently BaFIN is an effect to initiate legal action, when it discovers suspicion a crime, including market manipulation, illegal action, insider trading or establish of fraud. The further actions include the creation of working group together with a professional to define objectives, publication of found information to the public, impose of fines and heavy penalties, and even raise of a criminal complaint against persons or companies. In addition, BaFIN has the power to ban a product or dealer offer, remove the directors, suspend shareholders and appoint outside supervision. Overall, throughout the strict regulatory guidelines, the trader and investor is protected at any stage or scenario from the account opening, trading process, up to the unlikely events of the broker’s insolvency. BaFIN is responsible for statutory compensation and guarantee scheme plan, which is mandatory to join with a purpose to protect customers’ deposits. The mechanism clarified compensation up to 100,000€ which any client is entitled to receive. As a part of the customer protective service, any trader or investor can file a complaint against the broker if the one faces unfair experience with a particular company. Apart from an applied resolve procedure, which every regulated BaFin broker applied to and you should first refer to the company itself, the trader can submit a complaint in writing with the necessary details and proves of claims to BaFin. The information will be reviewed for evidence, while further the stated company will be contacted for detailed explanation and treatment plan. Regardless the outcome, BaFin will give final notice to the client, in case it can resolve an issue or not, since securities investment complaints are a special character and BaFin has not right to support with claims. BaFin can only take action against supervised companies and check on their compliance to the agreed contractual terms and legal requirements. If you having problems with a bank, an insurance undertaking or a German management company (Kapitalverwaltungsgesellschaft – KVG), the BaFin may respond by suggesting an out-of-court settlement of the dispute or Ombudsman Services company. 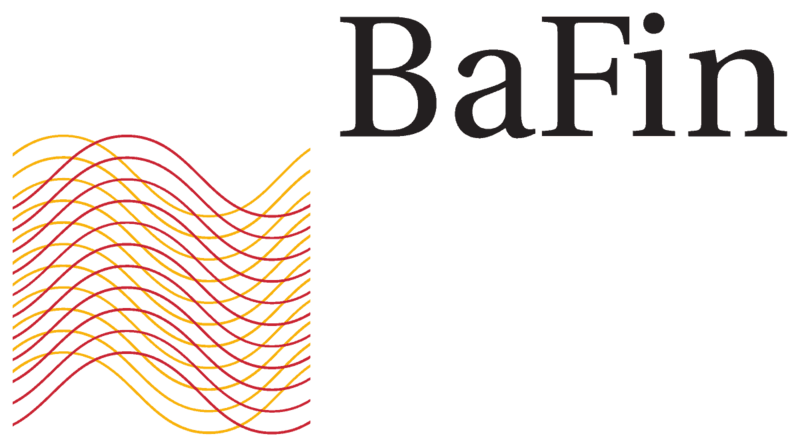 In addition, BaFin educates population through its comprehensive information that is available to all. You may find out about financial issues, a wealth of information about banks, insurance undertakings, and other financial services providers. BaFin also answers frequently asked questions in case there are difficulties with a company or you can find out who to contact to receive advice. In order to help traders to verify information about BaFin forex broker license, the authority’s official website publishes a list of regulated entities with constant updates. In addition, the regulated by BaFin broker will display on the footer of its website or regulation page its BaFin license number, which is available to check through official sources. In addition, it is advised for any trader or investor check on BaFin Broker Reviews with updates and recent news from the broker. Currently, Germany regulated brokers’ list at our website includes 50 BaFin Regulated Brokers and growing, check on Regulated entities the link. The benefits of trading with the BaFin regulated Forex Brokers are obvious, as the authority enabled the strictest insurance of strong broker’s responds, responsibilities, and compliance to its high solvency standards. monitoring products, and other issues along with the compensation when necessary. Overall, the BaFin made it scrupulously to monitor regulated brokers and smooth operation of the Germany finance system as an important part of international turnover. The German brokerages are computable to the successful prospective of operation, makes its utmost to develop a market and focus on fair treatment of their client. For this reason, BaFin gained its high consumers’ rankings, as well as popularity to establish brokerage, particularly under the BaFin regulatory status.